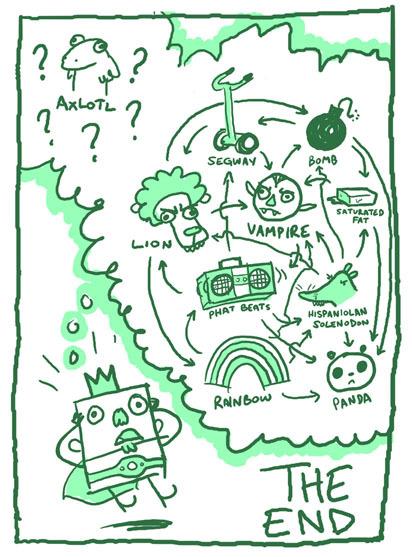 Super Animal Adventure Squad and the Case of the Baboon Bandit – part one! 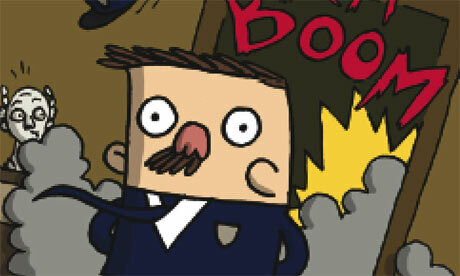 Ok folks, here’s a link to the first episode of my comic on the Guardian website- I hope you like it! I’ll post episode two next week! It’s surprising how bad the quality of the actual printed paper is – they printed my edition completely wonky! 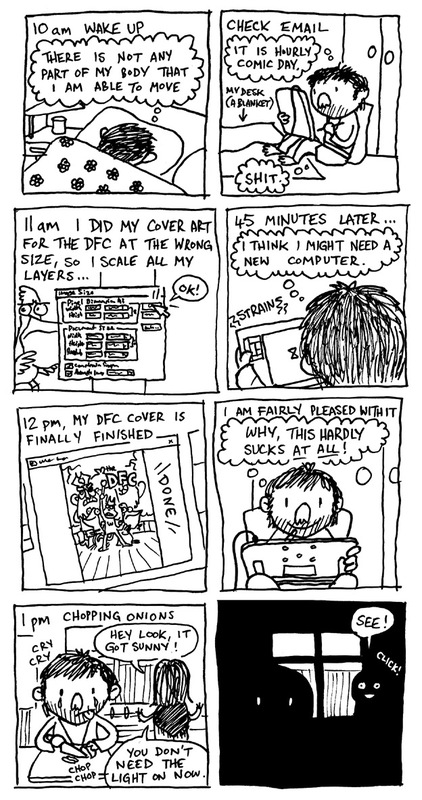 The real DFC is much better! 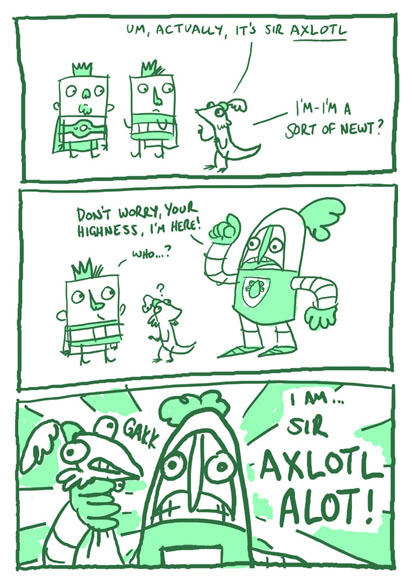 This entry was posted in Comics, News and tagged comics, crappy low-res images, super animal adventure squad, the guardian on February 23, 2009 by eruditebaboon. Last night I realised that my wacom stylus came with one felt nib, which means that my pen doesn’t slip all over the screen when I draw anymore. It’s a whole new drawing sensation! 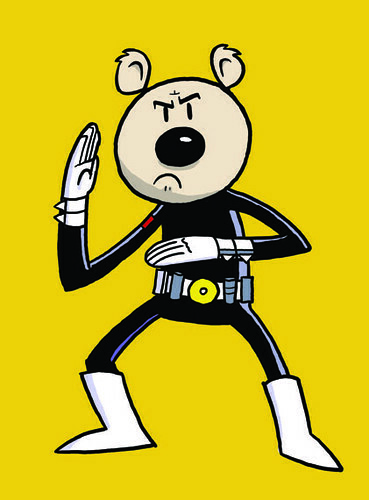 To test it out I had a go at drawing another DFC character, Lazarus Lemming, by Dave Windett. It wasn’t a horrible experience! Of course, it still took me about 2 hours to finish, but you know, practice, practice! This entry was posted in Drawings and tagged fun with wacoms, lazarus lemming, the dfc on February 20, 2009 by eruditebaboon. See – there it is! 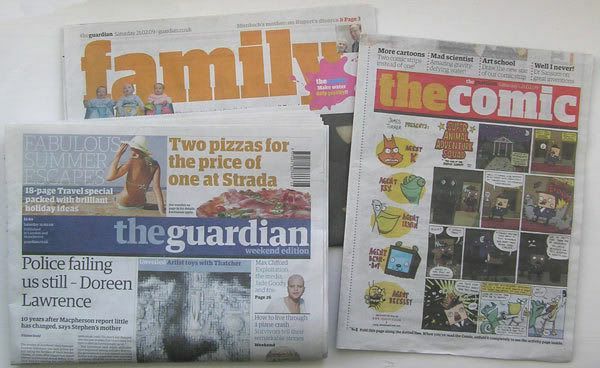 If you don’t live in the UK, or are otherwise unable to get your hands on a copy of the Guardian don’t fret! 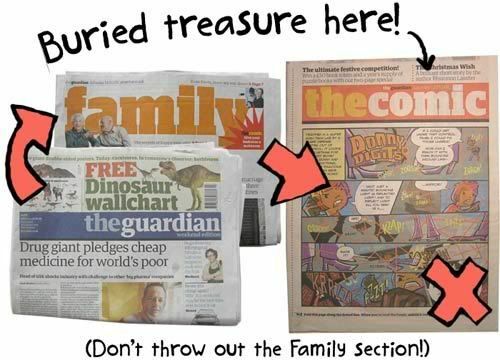 (I mean it – I can see you fretting at the back there) They seem to usually post the comics online (in a not-very-good-quality PDF, but I’ll take what I can get) after they’ve appeared in the paper, so I shall try to provide links to each issue as they come out. I hope you enjoy the comic! It has pirates. This entry was posted in Comics, News and tagged comics, guardian, super animal adventure squad on February 19, 2009 by eruditebaboon. 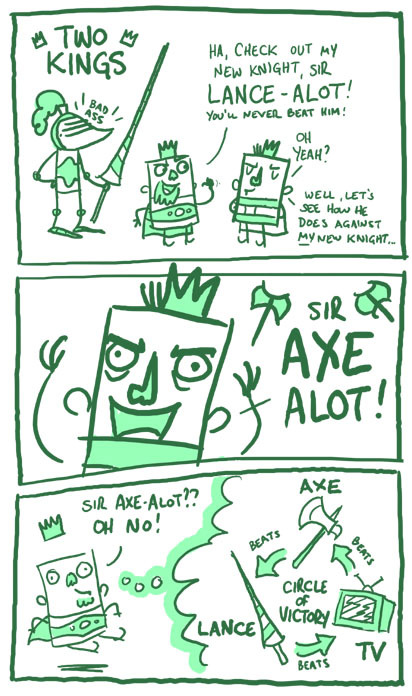 This entry was posted in Comics, News and tagged comics, kings, knights, victory matrix on February 16, 2009 by eruditebaboon. 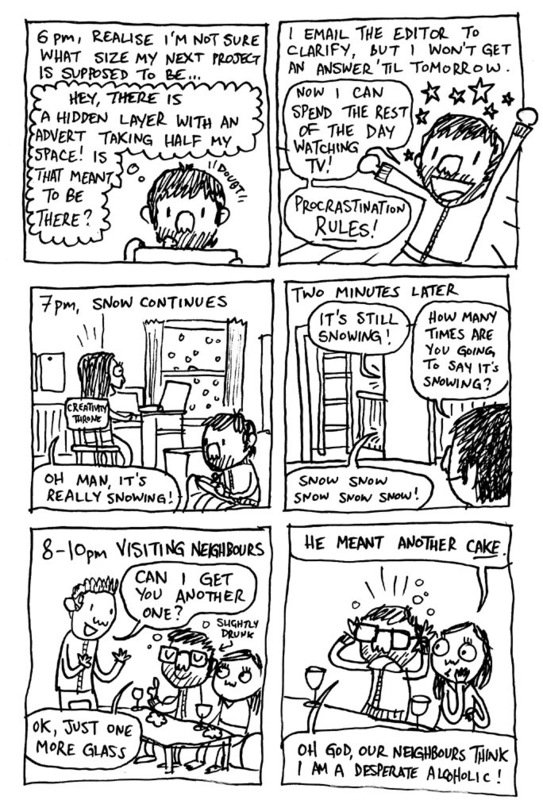 I kind of messed up the hourly thing a bit at the end, because it seemed a little rude to start drawing comics in my neighbours house when I had never met them before. Also I was a bit drunk. P.S it is my birthday today! Wee! 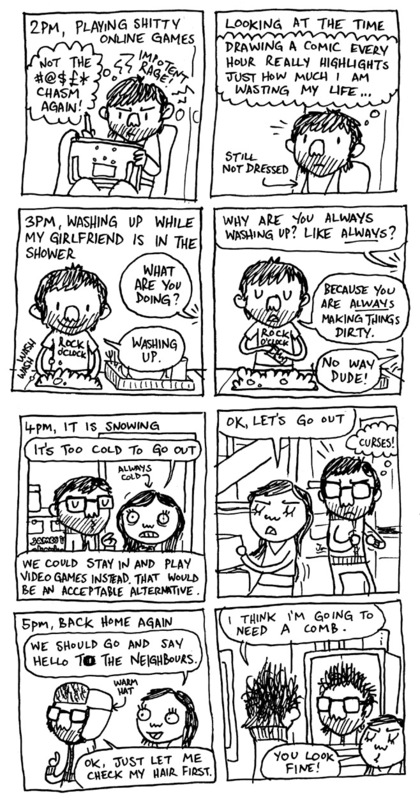 This entry was posted in Comics, News and tagged comics, hourly comic day, my all-too-exciting life on February 3, 2009 by eruditebaboon.